This tour captures the very best of the "Garden Isle" of Kauai – visit Waimea Canyon State Park and then enjoy a tranquil boat cruise up the Wailua River to Fern Grotto. 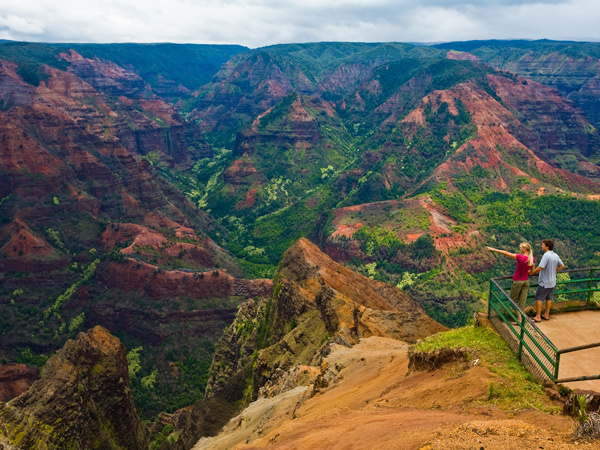 Waimea Canyon is one of Kauai’s top natural attractions. At over 10 miles long, 3,000 feet deep and one mile wide, the canyon is also known as the "Grand Canyon of the Pacific." From the lookout point you’ll enjoy spectacular views of the canyon’s multi-colored rock walls and cascading waterfalls. Look closely and you may even see a mountain goat navigating the steep rock walls with ease. 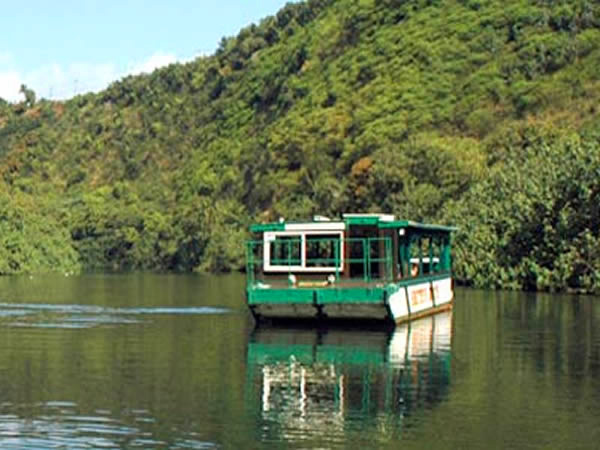 Later, you’ll enjoy a tranquil boat cruise up the Wailua River, the only navigable river in all of Hawaii! Framed by lush vegetation and mangrove at its banks, the boat tour offers plenty of scenic views and great photo opportunities. 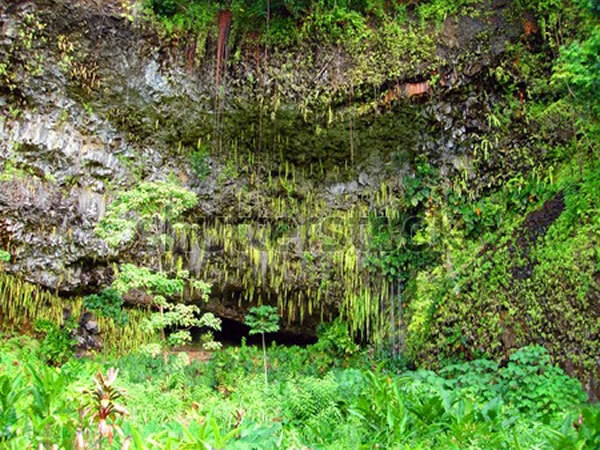 The highlight of the boat tour is Fern Grotto, a fern-covered lava cave. Because of the cave’s excellent acoustics, music is often being played in it. This tour also takes you to other Kauai attractions, including beautiful Opaeka'a Falls and Spouting Horn, a lava tube at the ocean’s edge that shoots water up into the air when the ocean forces water into it. Hanapepe – Kauai’s "biggest little town"
Wailua River boat cruise – the only river boat trip in Hawaii! Transportation and Pick-up Time: Roundtrip transportation from Lihue, Wailua, and Poipu hotels. The length of this tour is approx. 9.5 hours long from Lihue, Wailua, and Poipu. Pickup is approx. 7:30 am but the exact time of pickup will be emailed to you depending on where you are staying. Returns at approximately 5:00 - 6:00 pm. Bring a sweater and wear comfortable walking shoes. Lunch is not included in this tour. However, a stop will be made at a local restaurant, where you can purchase lunch.